It's no secret that Empire's Cookie Lyon hasn't behaved like mother of the year. Though she loves all three of her boys fiercely; Andre, Jamal and Hakeem spent the majority of their childhood without her. Though they've been separated for many years, the bond between Cookie and her boys is still very strong. Out of all of her three children, Cookie and Jamal have the closest relationship. This is probably because Cookie has steadfastly protected her gay son from his homophobic father Lucious. Despite Lucious' disdain for Jamal, Cookie has always wanted her middle son to know his worth. She spends a great deal of time validating his talent and value. Eldest brother Andre probably has the most vivid memories of Cookie. Though their relationship isn't strained, it lacks the warmth that Cookie has with Jamal. Still, after discovering Andre's bipolar diagnosis, Cookie goes on a quest to be more involved in her eldest son's life. 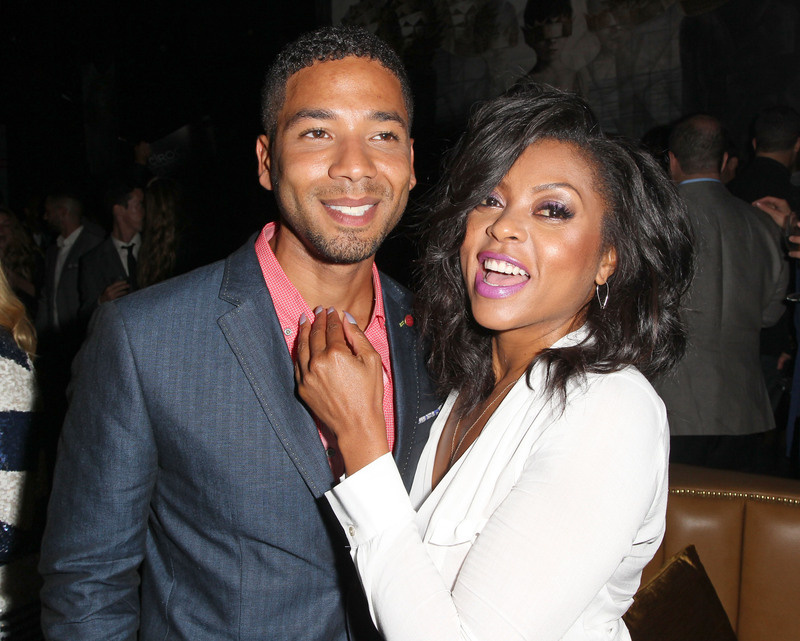 Perhaps the most turbulent relationship on the show is the one between Cookie and her youngest son Hakeem. Since Hakeem was an infant at the time of Cookie's incarceration, he hardly remembers her. After her release, Cookie interjects herself back into her boys lives; something that Hakeem doesn't appreciate. However, Cookie is nothing if not steadfast and persistent in her determination to reestablish a life with her boys. In the midst of trying to reinstate her position as co-founder of Empire while sorting out her own romantic relationships, Cookie also mothers her grown boys. She's not always always right, nor does she go about parenting in the most gentle way, but Cookie Lyon's love for her boys is fierce. Here are Empire's 9 Best Mother-Son Moments. Though this was obviously a terrible time for the Lyon family, Cookie stays strong. She kisses and hugs all of her boys, reassuring them that she loved them. Admittedly, I cackled loudly in laughter when Cookie hit Hakeem with a broom. She'd reached a breaking point after he had been repeatedly been rude and disrespectful to her. However, violence is never the answer and it was nice to see Cookie reign in her temper in a effort to make peace with her youngest son. When Lucious refused to back Jamal's musical career if he publicly announced he was gay, Cookie stepped in and helped Jamal create his first hit single. Since Cookie arrived back in Hakeem's life, he's treated her with disgust and disdain. Realizing that he needs to work on his anger toward women in general, he apologizes and Cookie readily accepts. I know I'm not the only one who was grossed out by Camilla and Hakeem's relationship. It was obvious that Camilla was using the youngest Lyon to try and regain her fortune and fame, while Hakeem seemed to be using her to sort out his mommy issues. Either way, I was not a fan of their relationship and neither was Cookie. Jamal chose Lucious' white-party as a platform for his first major performance and to announce that he was gay. No one was more proud than Cookie, who eagerly cheered him on. Cookie is probably most annoyed with Hakeem for his faux street persona. Hakeem has known nothing but wealth and luxury for the majority of his life, and Cookie is quick to remind him of that fact. Cookie is certainly not the most politically correct when it comes to dealing with her gay son Jamal. But then again, she's not very PC in general. Realizing early on that Lucious would try and shame Jamal for being gay, Cookie remind a very young Jamal that she is his biggest ally and defender. One of my favorite things about Cookie is her outlandish outfits. She wears copious amounts of animal print and drapes herself in tons of fur. One of my favorite mother-son moments is when the usually reserved Jamal, matched her outfit for their appearance at Lucious' white party.